I posted my Beauty Crowd haul last week and got such a response about one of the items I had ordered, the infamous L.A Girl USA Pro Conceal. 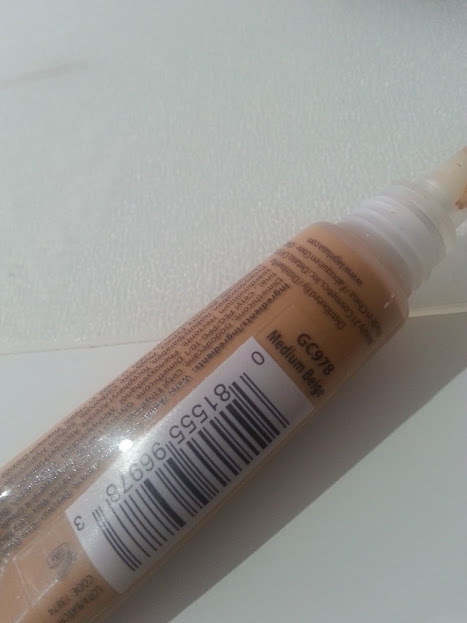 There are more than 10 shades of concealer giving you a guarantee that there is a shade just right for you, ordering online can be scary especially with something you will be using on a everyday basis but there is a helpful hint on pinterest if you fancy matching yourself. 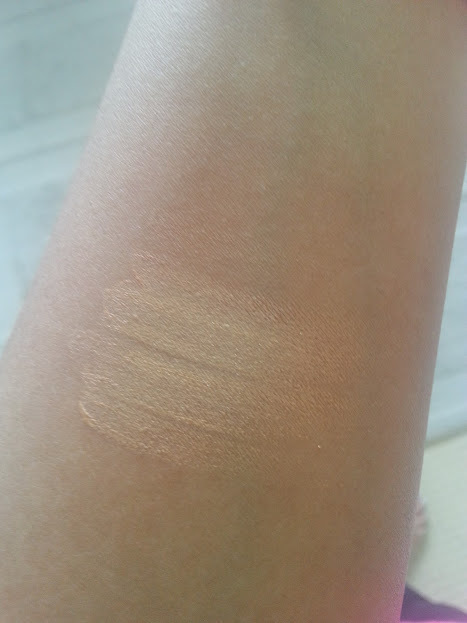 From this picture I managed to guess my shade 'Medium Biege' and it is the perfect one for under my eyes and blemishes. 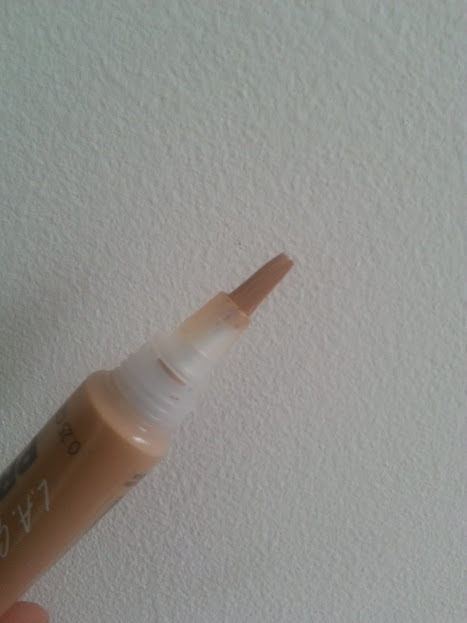 This concealer is like no other I have in my collection, for one it is a squeezy tube which shows you straight up how much you have used, my tube is half empty already oops. The second thing that makes it different to other concealers is that the applicator isn't a dofer it's a brush. When you squeeze the product up it comes into the brush and then you apply it so that it spreads out. When you put the tiniest little bit of pressure on a little blob appears at the bottom of the brush and this is enough to cover any blemishes on your skin as well as your under eye circles. 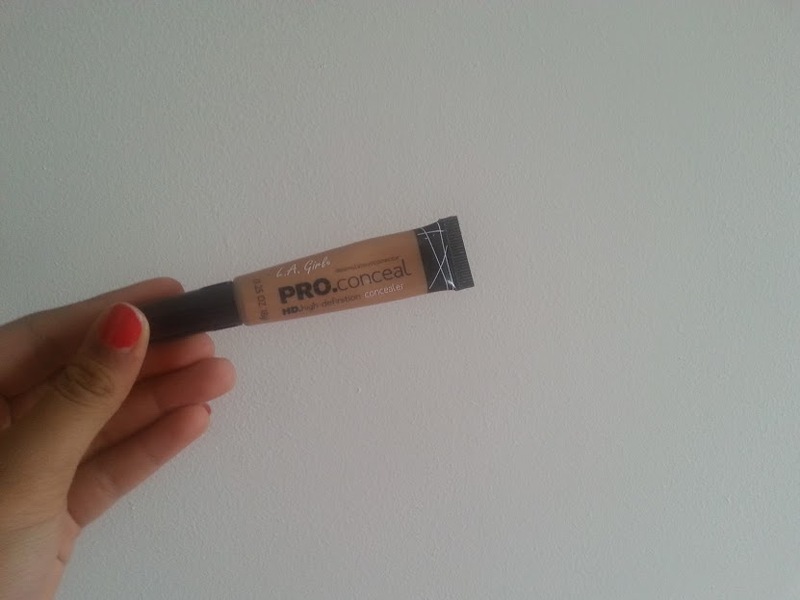 I prefer this for the dark circles due to it being creamy, long lasting and very high coverage. 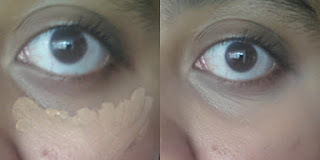 The image above shows you my horrible dark circles before, the lovely triangle and after - the difference to me is huge.